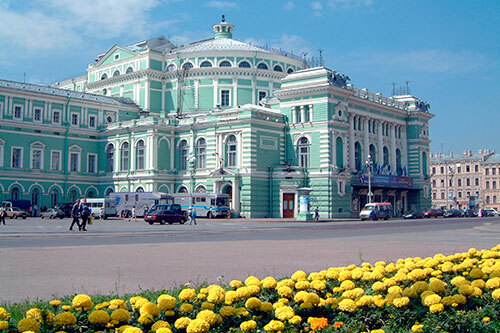 Ratmansky's first full-length ballet, commissioned by the Mariinsky. A contemporary retelling of Perrault's fairytale, set to Prokofiev's score. There are currently no scheduled performances of Cinderella. It was last on stage 15–16 August 2014 as part of the Summer 2013/14 season. Cinderella is cruelly treated by her stepmother and stepsisters. But her kindly Fairy Godmother offers an opportunity to escape to a ball at the palace, where Cinderella meets her Prince. 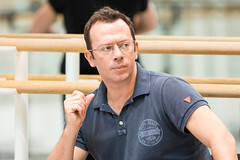 Alexei Ratmansky was just beginning his career as a choreographer when the Mariinsky Ballet commissioned a full-length narrative ballet from him in 2002. The premiere of Cinderella on 5 March 2002 launched Ratmansky onto the world stage. In Cinderella Ratmansky weaves together a magnificent array of different styles, interpreted through virtuoso classical language. The result is a fresh, witty and sardonic account of the classic fairytale, and a brilliant response to the bittersweet elements of Prokofiev's much-loved score. The contemporary edge of Ratmansky's choreography is confirmed by spectacular designs from Ilya Utkin and Yeveny Monakhov (sets) and Elena Markovskaya (costumes). Together with Ratmansky they create a world where Cinderella, originally created on Diana Vishneva, becomes a lonely dreamer and her stepmother a vicious, tantrum-prone social climber. Ratmansky's innovative choreography – lyrical and grotesque, fantastical and wry – builds to a pas de deux of aching beauty and tenderness between Cinderella and her Prince. Act One will last for about 40 minutes, followed by a 25 minute interval. Act Two will last for about 40 minutes followed by a 20 minute interval. Act Three will last for about 35 minutes.